Turns out Chronixx got mad skills in the kitchen. 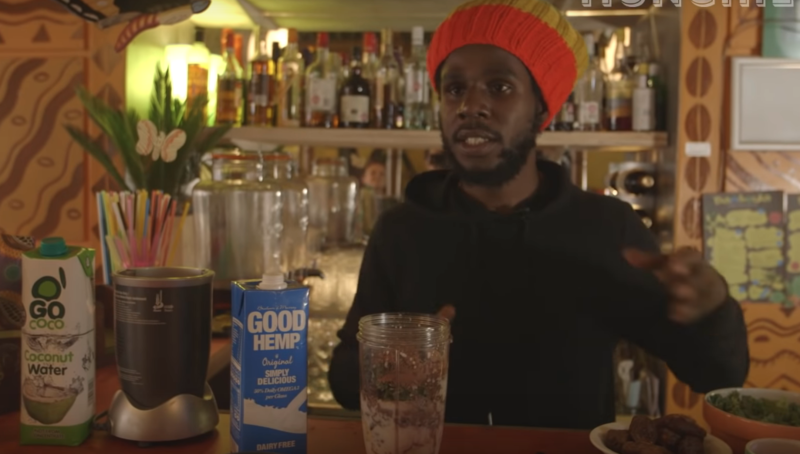 The Jamaican Reggae star Chronixx linked up with Munchies to share his classic recipe for vegan roots curry. The popular nourishing Ital stew is packed with spicy pumpkin, potato, and carrots and served alongside red quinoa with a “lickle niceness” of coconut milk. And what better way to wash down a nourishing curry than with a spirulina, sweet date, and banana smoothie?.